Garfield and I are understand each other when it comes to Mondays. Ever since I was able to understand that a Monday is the start of the school week, I began to loathe it with passion. So today, I tried Mango-ong for the very first time. I was a bit hesitant to try it at first as it was a bit pricey, one slice is at Php 20! But my mouth was already watering so I forked over Php 40 so I can get 2 slices, and I chose sweet and spicy as my bagoong flavor. But of course, nothing beats the real deal. So, how are YOU planning to survive your Monday? am really drooling here. 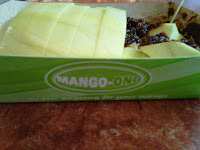 i love green mango + bagoong...yum! Sabi kasi sa Cooking Masterboy, ang sour na taste nakakapagpagenerate ng appetite. Yes, obviously adik ako for now sa Cooking Masterboy. Haha! mouthwatering talaga itong post.i can taste the soury and salty taste of mango and shrimp paste. I'm not into green mangoes but seeing the bagoong makes me wanna taste it. Nakakagutom! 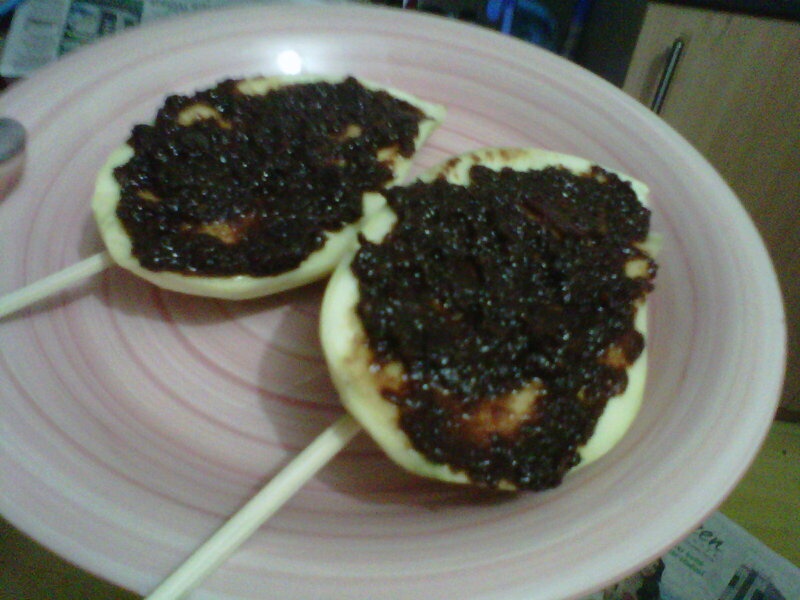 Mango + Bagoong/Guinamos = <3. Thumbs up if the mangoes are from Guimaras! Nag-sawa na kami sa mangga since we have a lot to trees around my folks' house. We loved them shredded and mixed with bagoong alamang and served as a side dish on lunch. @tatess - hehe, now I also want mangoes again! I survive Mondays with feel good music! This kind of food reminds me of my wife's conception of one of our 6 children. Every time I went home after my day's work, I always saw my wife munching a piece raw mango dipped into a shrimp's paste (Bagoong). I couldn't help myself not to join with her in which I got a beat from her. She's selfish! 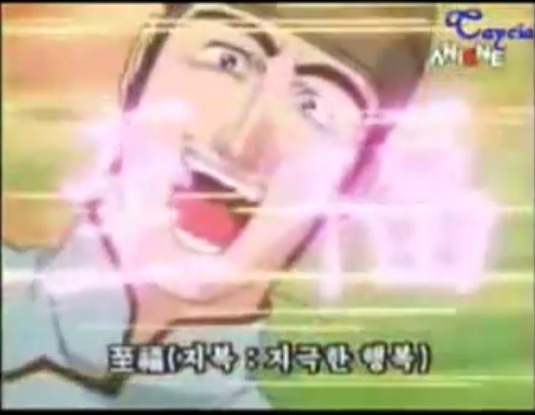 Actually, I love sour-tasting fruits. It perks up my appetite to eat with gusto. Yeah, I think it is the staple craving for pregnant women as depicted by a lot of Filipino movies. :) Although my mom said that when she was pregnant with me, she could not get enough of fishballs. @kay - What feel good music do you listen to? Iba ka Christia.. if everyone is featuring great rare and famous foods, eto mangga!! Love it!!!!!! May I also feature this in my blog. tnx! I miss this! THough i love bagoong more with banana, i can't help but drool over this famous street food in Manila. I am so glad that there are stalls here selling mangoes. I miss eating manggang hilaw bought from sidewalk vendors. I am no longer allowed to eat from street foods kaya sa food stalls in malls na lang ako bumabawi. I love their bagoong pa.
@gene - which bagoong do you buy? @allen - lol, you watch it too? I'm sorry but what's MANGOONG? is it a cake or something? hihihi1 manggo-ong rules!!! i miss eating this sa gilid ng kanto ng church namin.yum! Sarj - oh yes, that is the best kind!